We are talking natural haircare this week as part of the Natural Living Series. One of the companies that creates shampoo and conditioner you can feel good about using is Beauty Without Cruelty. Let me first tell you about the company before I get to what I think about the products I tried. “Every once in a while, the human spirit is gripped by such intense passion and commitment that it changes the course of history.” Thus reads the intro to the history of Beauty Without Cruelty. They were founded in England in 1963 by the trustees of an animal welfare organization with the goal “to manufacture and distribute natural, color cosmetics that were NOT tested on animals (as was the norm) and did NOT contain any animal ingredients.” They were the first to make a full line of color cosmetics completely cruelty-free which is pretty awesome. They began selling in the US in 1989 and the rest, as they say, is history. Today they have a full line of cruelty-free products made with natural ingredients. I had the pleasure of trying the Aromatherapy Hair Care Rosemary Mint Tea Tree Shampoo & Conditioner. Both are plant-based and vegan, and contain 100% pure premium essential Oshadhi essential oils. I really appreciate the fact that these products are free of parabens, SLS and synthetic fragrances, too. I loved the rosemary mint tea tree scent! It was like being at the spa in my shower. As far as performance, they perform as you are used to a conventional shampoo and conditioner. This shampoo and conditioner would be great for someone that is just starting on their natural living journey as it won’t feel like they are making a giant step out of their comfort zone. It is similar to a salon quality product with a lovely smell that leaves you with silky, shiny tresses. They are also gentle enough to use daily if you desire. I enjoyed using this shampoo and conditioner and know you would, too! That is why I’m giving you the chance to win your own Aromatherapy Hair Care Rosemary Mint Tea Tree Shampoo and Conditioner! Simply enter via the Rafflecopter entry system below. Good luck! Disclosure: I received no compensation for this post but did receive a complimentary travel size shampoo and conditioner from Beauty Without Cruelty for the purpose of this review. I was not required to give a positive review and all opinions are 100% my own. I only review products that I either have purchased myself and love or products I have been given a chance to review by the company that I believe are products my readers would benefit from. 4 Responses to "Beauty Without Cruelty Shampoo & Conditioner"
I love this one, thank you. I may have to check them out even if i don’t win. 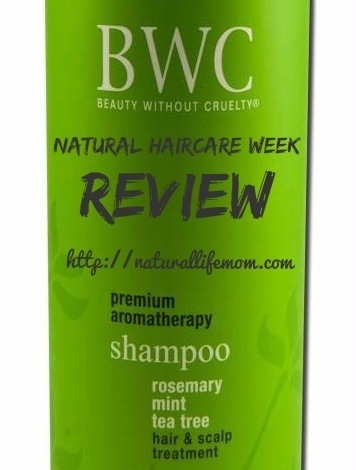 I’ve never tried BWC shampoos! My mom was a fan though, so I’m excited about this giveaway!